Come be a part of an exclusive gathering of those who love color, design and quilting. 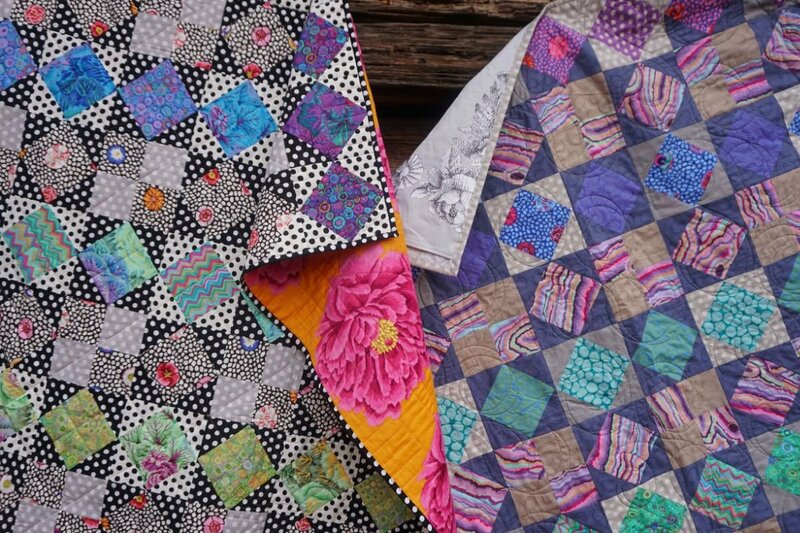 Introducing the Kaffetastic Quilt Along 2019, June 3-July 15, 2019, from the Kaffe Fassett Collective and FreeSpirit. Come in each week to pick up your fabric bundle, or you can pay for all of it ahead of time. Then you can go to the specified log-in to download your patterns each week. The first 40 people to sign up will receive an exclusive Kaffe Tote with a specially printed quilt label.